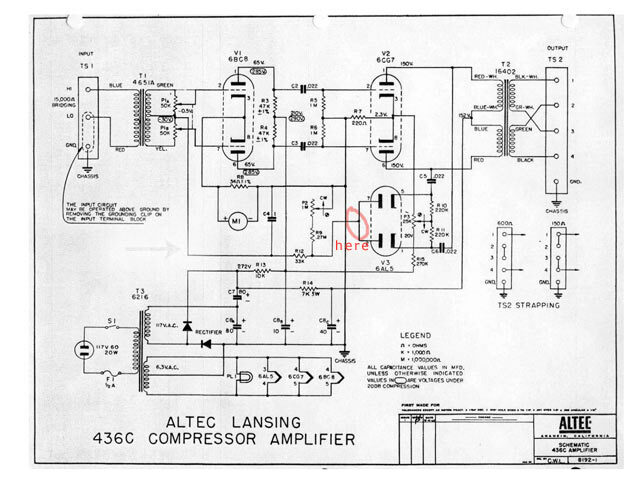 So I want to try making a 436 clone, but I see a few different schematics. The first appears to be Altec's original circuit, while the second is more elaborate with an additional tube and more switches. Has anyone in the group (or the group in general) decided what's the "best" or most desirable 436 circuit to shoot for ? I've made some mic preamps, guitar and audio tube amps too, so I have the skillset to layout a pc board and build the power supply etc. I have some scheme that I download from this forum and web!!! This is example that I bought from Aresaudio but need lot of evaporating....have mistakes!!! Anyone else have any input on this ? is this a working diagram?